Quirky Creatures Only one place left. 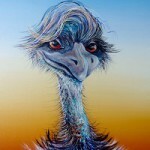 Working in acrylics and using tonal layering, participants will learn how to create their own unique animal or bird character portrait. Learn what enables an artist to add a human element and expression to an animal. 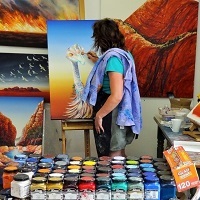 Follow Linda’s step by step tuition to paint an “emu with attitude” or create an animal caricature using your own reference material. 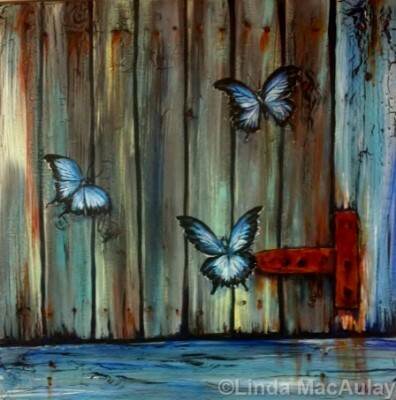 Explore the processes of creating textures, rust and patina using acrylic paints and mediums. Use these skills to interpret the landscape within an abstract but realistic outcome creating 2D works that read like Braille. 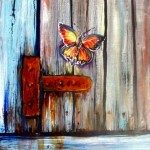 This course is designed to explore the creative use of unique materials while providing a comprehensive introduction to acrylics and mixed media.